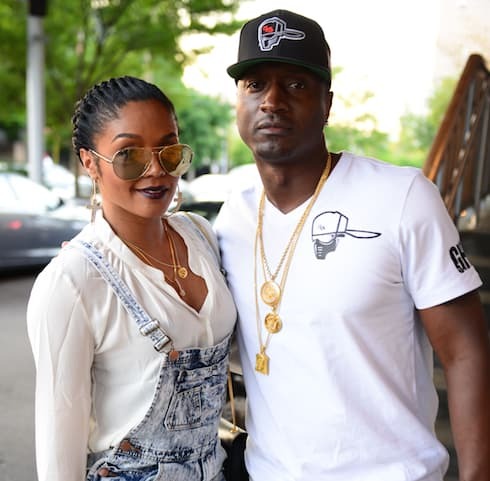 It might have been just a publicity stunt, but she hasn’t changed her look back yet — so does Spice from LHHATL bleach her skin, or not? The “Black Hypocrisy” singer stirred up a hornet’s nest of attention by appearing to go light ahead of her new single’s release. Since then, Spice has gotten the views she (presumably) wanted, and gotten plenty of people talking. But is her new look for real? Does Spice from LHHATL bleach her skin? Nothing wrong with a fresh start. CLICK THE LINK IN MY BIO and pre order my mix tape it's ready for pre order today on all platforms. Pre order yours and tag me #Captured so i can post your support? Naturally, this caused no end of drama for Spice’s fans, many of whom accused her of selling out by (allegedly) bleaching her skin. Of course, the reality of the move turned out to be a bit more complicated. It emerged that Spice changed her appearance specifically to help promote “Black Hypocrisy,” her latest single, which she dropped just hours after the controversy over her appearance began to boil. The song addresses what Spice sees as a harmful double standard within the black community: she’s faced criticism for being *too* dark-skinned, but the same critics would likewise lash out at her for trying to go lighter. Love & Hip Hop viewers have been confronted with similar accusations before. LHHMiami star Amara La Negra spent her publicity tour leading up to the show’s first season attacking Afro-Latino stereotypes and claiming she wanted to be a role model for girls and women watching the show who look like her but don’t see themselves elsewhere on television. And the video for “Black Hypocrisy” has tallied an impressive 1.4 million views since Spice dropped it just under two days ago. So it seems safe to say the skin bleaching controversy worked. But, as several outlets have noted, Spice’s friend and collaborator Vybz Kartel came under fire for bleaching his own skin several years ago. It seems that in Jamaica the preferred method is cake soap — Vybz has even spoken of creating and marketing his own brand, specifically for skin whitening. One group we know for sure that’s paying attention: Love & Hip Hop Atlanta‘s producers. The eighth season of the show is filming now and expected to premiere in the spring of 2019. Do humans really only use ten percent of their brains? The Last Alaskans Season 4 cast changes coming: Is Discovery looking for new families?